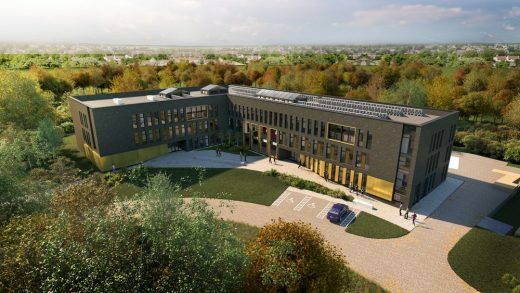 7th November 2018 – Leading UK architecture firm PRP has been appointed as lead architect and masterplanner on The Western Village in North Kent, by joint venture development partners, Clarion Housing Group and Countryside. Part of the Eastern Quarry section of Ebbsfleet Garden City, The Western Village scheme is set to deliver up to 2,600 new homes. Designed by PRP, The Western Village will offer a strong sense of community for those that live there. 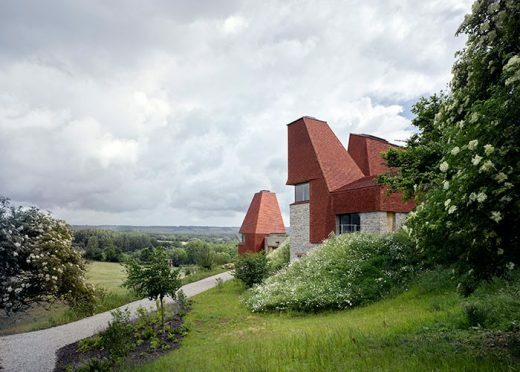 The homes will respond to their rural surrounds, including a former quarry which will also provide a dramatic backdrop to the scheme. 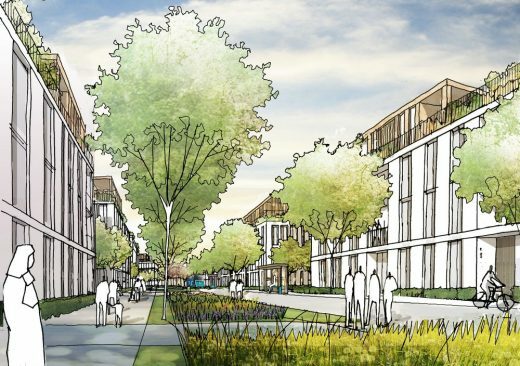 The homes will be linked to landscaped and open green spaces through walk and cycle ways, promoting wellbeing and maximising residents’ quality of life. 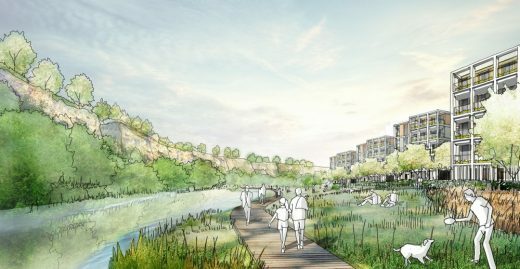 The Western Village will form the largest ‘village’ within Eastern Quarry and be a major contributor to Ebbsfleet, becoming the largest Garden City in the UK. 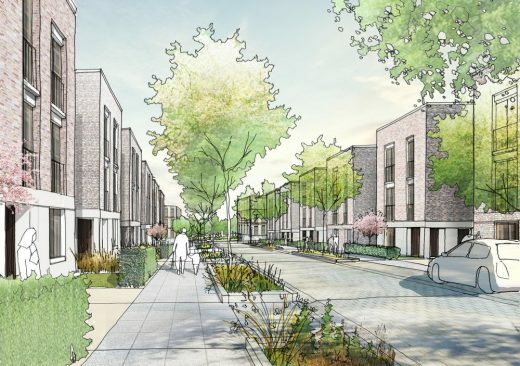 The masterplan includes a detailed first phase of 250 homes to be delivered as part of a hybrid planning application for Western Village, which will become a strong, cohesive and inclusive community once complete. 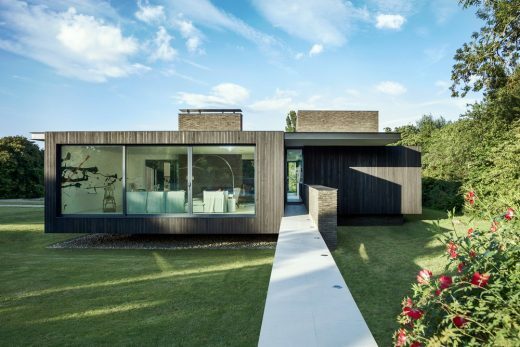 The vision for Ebbsfleet Garden City is to create circa 15,000 new homes, a major new commercial centre, improve public transport links and develop seven new city parks, connecting London to the Garden of England. The project will generate a multi-billion-pound investment which will increase the economic activity to the local area as well as creating up to 27,000 jobs.